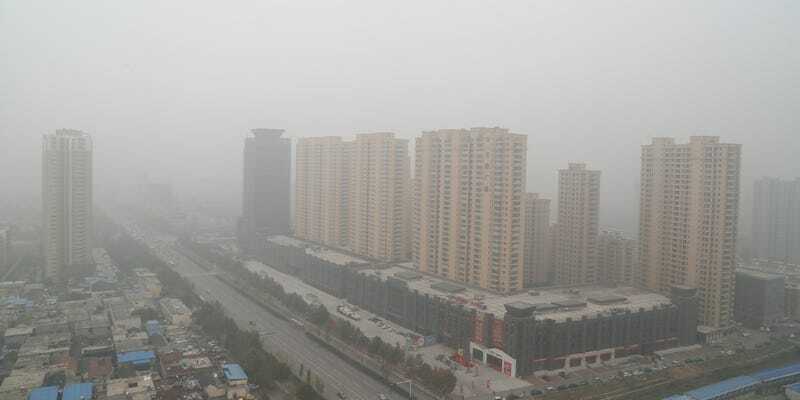 Pollution levels in northeast China are breaking records. In fact, the air quality being recored in the city of Shenyang is 50 times what the World Health Organization (WHO) says is safe for breathing. China’s state news agency is comparing conditions to the end of the world. Smog warnings have been increasingly damning over the past couple of days, and officials say the smog won’t lift until the end of the week. Visibility in the affected areas is down to a few dozen feet, and levels of fine particulate matter (PM2.5) are through the roof. WHO says PM2.5 levels over 25 micrograms per cubic meter can be hazardous to your health. The Chinese government’s standard is slightly looser at 35 micrograms per cubic meter. Readings in Shenyang this week are spiking at 1,400 micrograms per cubic meter. This is not a bad theory, since similar events happened last year and the year before. Nevertheless, the new high is another reminder that China’s pollution problem is not only destructive but also worsening. The country says its pollution will peak in 2030. What happens between now and then is a scary thought, especially considering this year’s especially thick blanket of smog. Believe it or not, the pollution levels were pretty good then compared to now.